Our mission is to enable our customers to profitably manage their businesses by providing the best agricultural and commercial decision making and record keeping software. We have the widest range of agriculture and commercial, integrated management software systems and we provide a high degree of personalized service within the agricultural and commercial sector. Management system software for the farming and commercial sectors produced by Plan-A-Head, a leading computer application software company for the past 23 years. Plan-A-Head now covers the whole of South Africa and the SADAC (South African Development & Co-operation). We have over 25 years experience in the agricultural software industry. 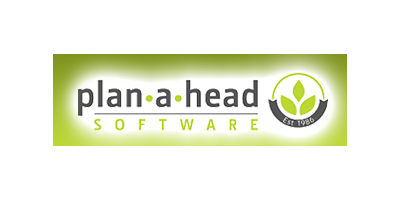 Plan-A-Head is the only company in South Africa that develops, supports and trains on software encompassing all agricultural enterprises. Our products have been developed in association with agriculturists, users and ancillary service providers. Our Payroll, Financial and Vehicle & Asset Management Software will suit most small businesses. We are a South African company, thereby assuring that all legislation and developments in the current business sectors we are involved in are incorporated. We are constantly improving and incorporating cutting edge developments and new technologies into our software. The software is practical, intuitive and user friendly. We will assist you by training, workshops, or over the Internet to assure you get the best out of your investment in the Plan-A-Head programs you have bought.